Volume two considers major environmental issues using individual case studies from around the world as illustrations. 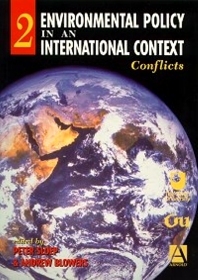 These case studies explore the causes of international environmental issues and investigate the conflicts that hamper these solutions. The case studies address such problems as intensive farming, overpopulation, deforestation, climate change and waste disposal. Each case study also looks at policy and management of these international environmental issues. The case studies span the globe, encompassing the Western world as well as the former Eastern Bloc and developing countries in Africa and South East Asia.